A cloudy year – but what happened to cloudysky…? Well, I’m back and here is a look at the year gone by, in clouds. 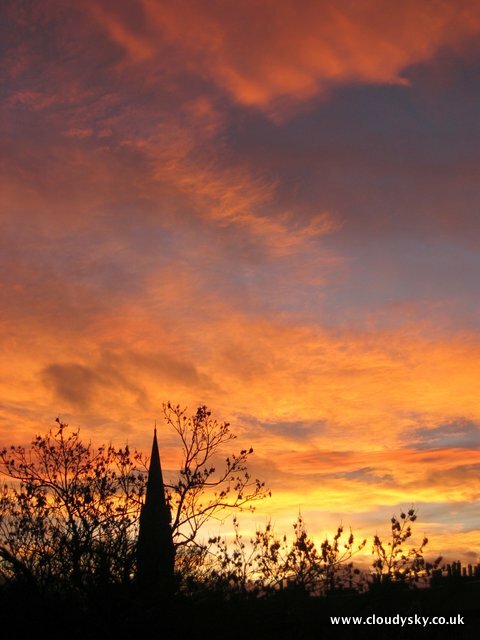 Firstly, November 2008 and this spectacular skyscape. 19th November at around 4.30pm, looking out towards Barclay Church spire. ~ by cath on 26 January, 2009.